Xbox 360/PS3 versions update is arriving soon. The very first officially DLC for PAYDAY 2 went live yesterday; the first of many from Overkill Games! The “Armored Transport” DLC grants a variety of additional content, most predominately new armored vehicle heist missions as the title suggests. 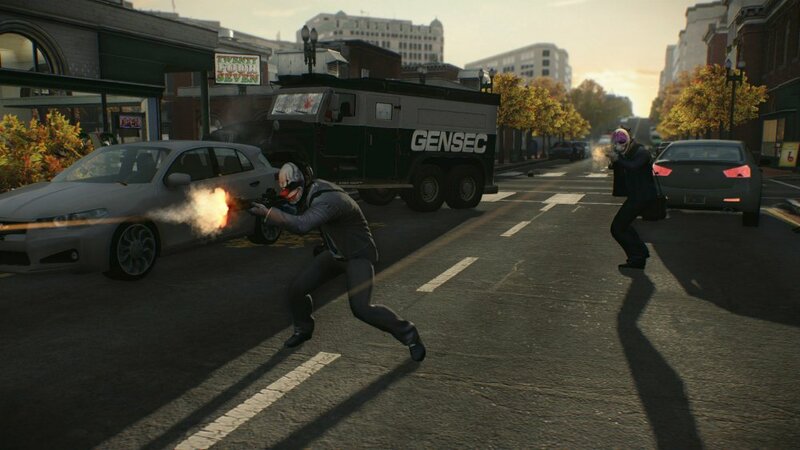 News Heists Spread Over Six Locations – Players now have two new heists that take place over six different locations. Gamers hit the armored transports downtown, in parks, underpasses, crossroads and in the harbor area of D.C. If the player is lucky, the robberies will lead to an even bigger reward –a train robbery to secure a valuable military prototype. 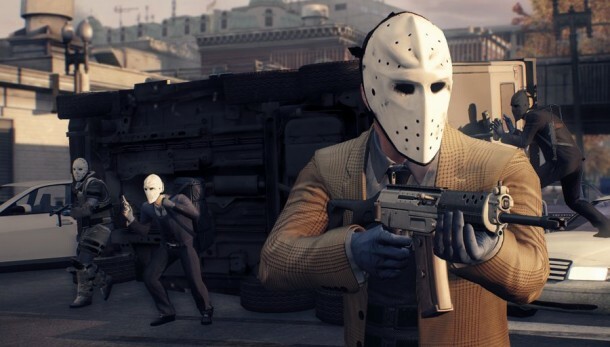 Three New Weapons Of Choice – Players can now enjoy three new weapons of mass heisting. For the stealth artist we have the charming Gruber Kurz pistol, Tanks will enjoy the agile Commando 553 Assault rifle and only a lunatic could love the classic Swedish K SMG. Together with over a dozen new weapon modifications, everyone will have something to play with. Four New Masks, Patterns and Materials – Four new masks have been added to the game, themed around four very famous American presidents. Combined with the all-new American themed patterns and materials, players will be able to cook up some pretty awesome looking mask designs. Bodhi would be proud. New Achievements, Free Community Mask and More – There are a dozen new achievements players to take care of. Those that join the Official PAYDAY 2 group on Steam will also receive another bonus item in the shape of a new hockey mask – inspired from one of the best heist flicks of all time. For those that work hard while robbing the armored transports, a curious Easter egg can be found. The “Armored Transport” DLC is now going for $6.99 on Steam, so go and grab it while its hot. PAYDAY 2 is still one of our favorite co-op games of this year, so get out there and see why that is. UPDATE on the XBOX 360/PS3 PAYDAY 2 PATCH: QA testing is still underway, but the DLC should be here very soon, according to Overkill Games. The aforementioned DLC will also follow shortly after the update goes live.